Did you know? Games can add a lot of excitement to your philanthropy events and give your fundraising a boost. Chapters that have added one or more of the following games to their events have seen great improvement in both the donor’s enjoyment and dollars raised! The best part about games is that they offer younger attendees an opportunity to participate in giving back. At $5-$25 to play, it’s a great way to engage attendees of all ages. Mystery Balloons are visually appealing and everyone wins something! What could be better than that!? To host a Mystery Balloon you will need to have 50-150 prizes donated to your event valued under $10. 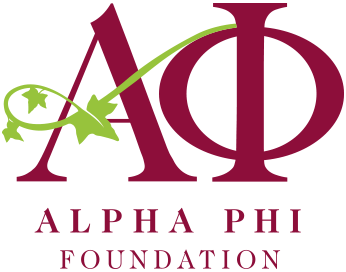 Think gift cards, Alpha Phi tee shirts, etc. When collecting donations you should anticipate that 25% of your attendees will play this game. So if you had 400 attendees last year, your goal should be to acquire 100 prizes. Set up a table at your event showcasing all of the awesome prizes available where guests can purchase a balloon. Each balloon should have a number written on the bottom of the weight. This corresponds with a prize. During your dinner or speeches, host a “balloon popping ceremony.” At this point the numbers are revealed and guests can begin to collect their prizes! Heads or tails is another great game to add to your event. Moms and Grandmothers alike seem to love this kooky game. Again, the idea is to have a low cost (and fun) option for attendees to participate in. Guests can purchase something that indicates they are participating in the game (like a red bead necklace) at the beginning of the evening. Then, after dinner or speeches you’ll play a big game of heads or tails by having everyone who purchased a necklace stand up. The Emcee flips a coin and asks the audience, “heads or tails?” Players indicate heads by putting their hands on their heads and tails by putting their hands on their tail. If they’re wrong they sit down, if they’re correct they continue. Once you are down to a manageable group of people have them join the emcee on the stage until there are only two people remaining. Bonus Tip: You’ll want to have two prizes to give out at the end of the game to the last two players left standing. I hope this information is helpful! Be sure to check out the Philanthropy Event Toolkit on the Foundation’s website for even more details on how to incorporate these games into your next event.